The bold and vibrant colors selected for these tribute pieces says to all who see them that the life being celebrated at this ceremony made a lasting impact on friends and family. 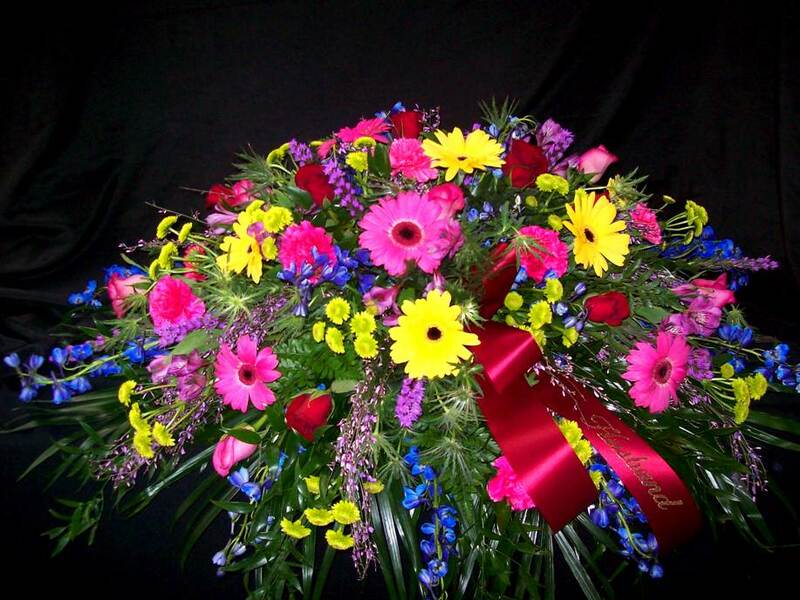 Celebrate the life of your loved one with custom designed tribute sprays by Blossom Basket Florist. Call us at 217.367.8354, order online, or stop by our Champaign, IL or Urbana, IL location. This adorable mixing bowl container is the favorite of the design team here at Blossom Basket Florist. 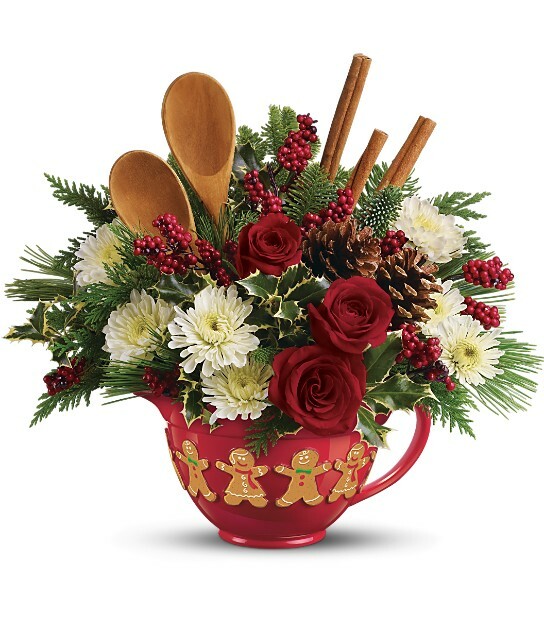 The red ceramic mixing bowl features a handle and pour spout and is decorated with cheery gingerbread people. This gift is perfect for anyone on your Christmas list and will be a cherished keepsake for years to come. 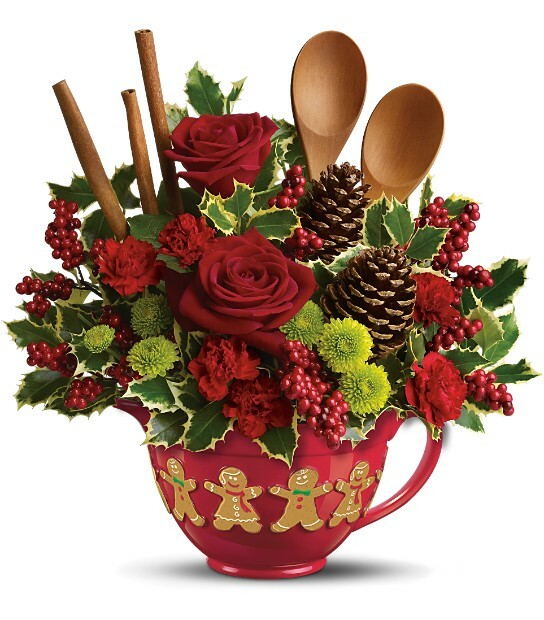 Let us create a custom arrangment in this holiday mixing bowl or choose from one of the designs on this page. Poinsettias make the perfect gift for the holiday season with lasting blooms and feastive colors. 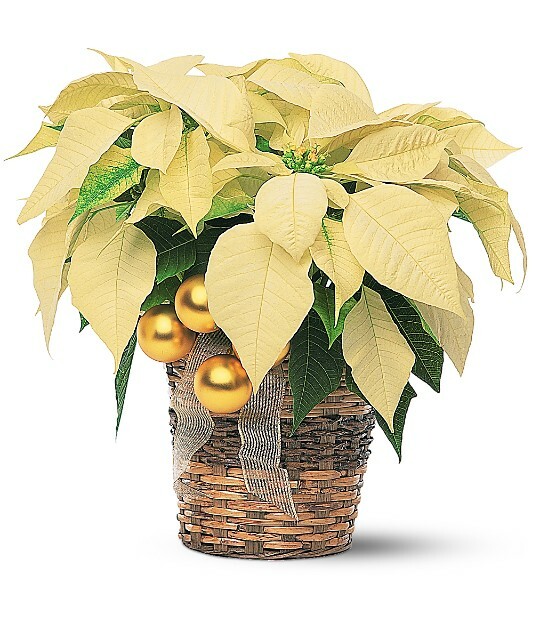 Who wouldn’t love a snow-white poinsettia to usher in this holiday season! 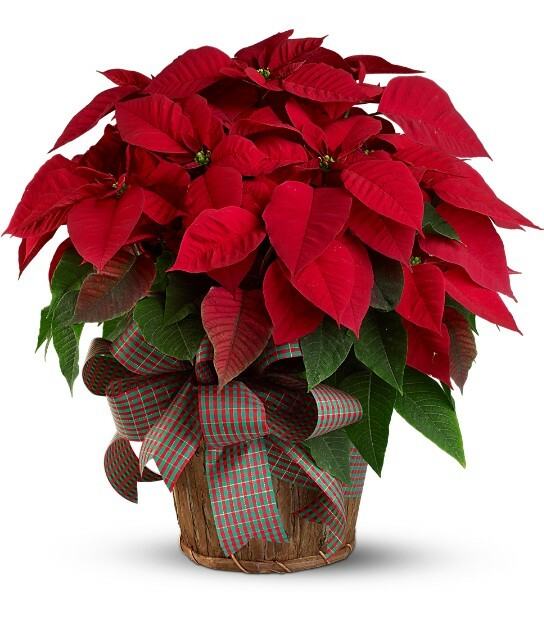 How about a traditional red poinsettia to say “Merry Christmas” to loved ones near and far! 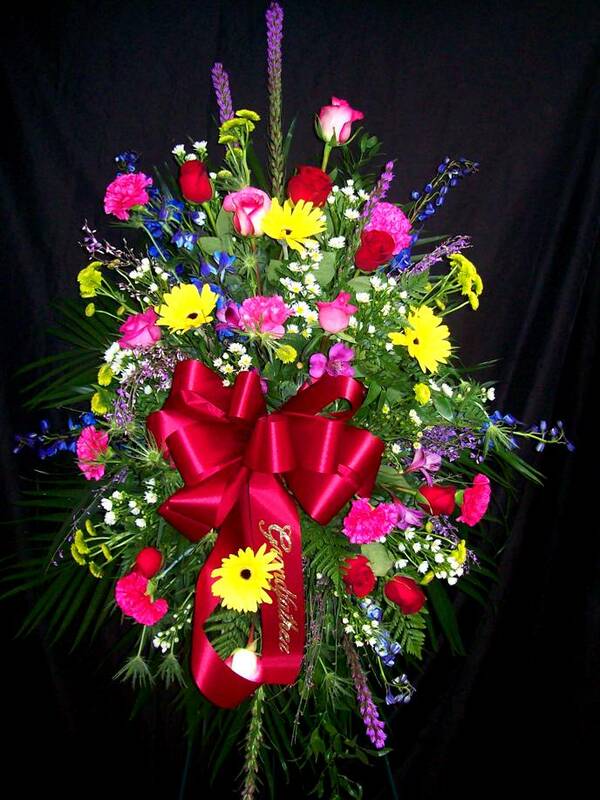 At Blossom Basket Florist we have 3 colors – Red, Pink, & White in 3 sizes – Large, Medium, & Small. Call 800.336.4888. or visit www.blossombasket.com to order one (or several) today.